Singer Blaudzun released a great new album earlier this year. Heavy Flowers is filled with beautiful songs and a rich variety. 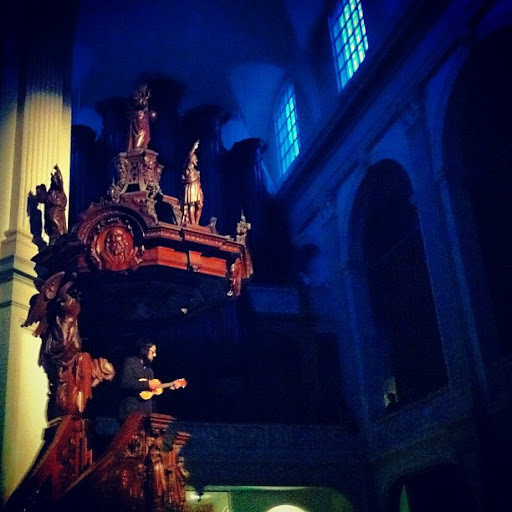 For the Indiestad festival which is spread over several locations of Amsterdam, he was performing in a church. For some one who grew up in a religious environment like him, this promised to be a special experience. Right from the start he's using the not every day stage to its full extent. Singing 'Wolf's Behind The Glass' from the church's pulpit all by himself, without mic or other amplification, his voice sounds vulnerable but also strong at the same time. It's ringing through the big high church hall. The band starts playing while he's making his way to the stage. It was supposed to be an acoustic set but this is not really the case. The band isn't playing in an average band setup though. Violin, cello, banjo are just some of the instruments used. It's not so weird that some of his songs are sometimes reminding of Arcade Fire. The band are playing fine but are never really excelling. 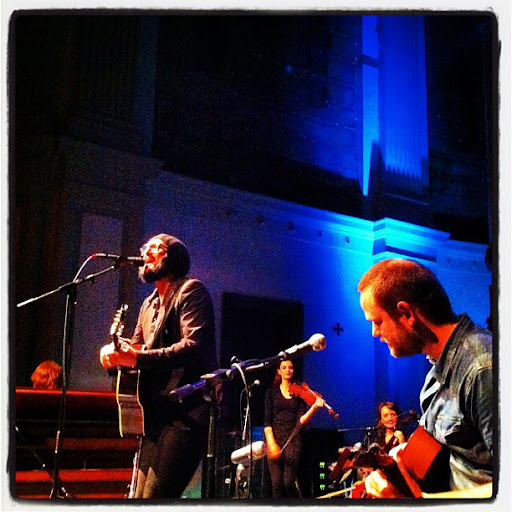 It's Blaudzun who's making the difference. His voice and appearance are remarkable. He has become more relaxed on stage over the years. This makes his performance comfortable to watch. 'Flame In My Head', that appears early in the set, is even making people clap their hands to the beat. As an encore all band members gather at the front of the stage for a special version of 'Blindspot'. By this time everyone here tonight already is convinced: Blaudzun is a unique artist.